Fr. Perez brings us alongside Jesus in the final hours of His public ministry as He brings to fulfillment the very purpose His Incarnation, the salvation of all mankind. Fr. 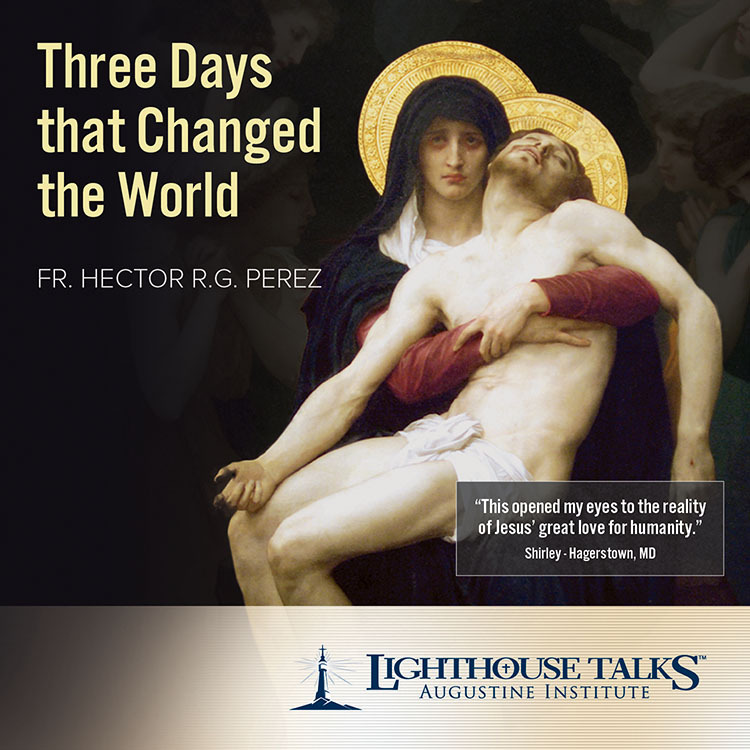 Perez's detailed insights of those last three days offer a moving look into the loving heart of the Messiah and detailed descriptions of his intense emotional and physical sufferings as they really were. With this knowledge, our hearts can only love him more. Archbishop Fulton J. Sheen was one of the best-known and best-loved Catholic orators of the twentieth century, reaching millions of Christians of all denominations. 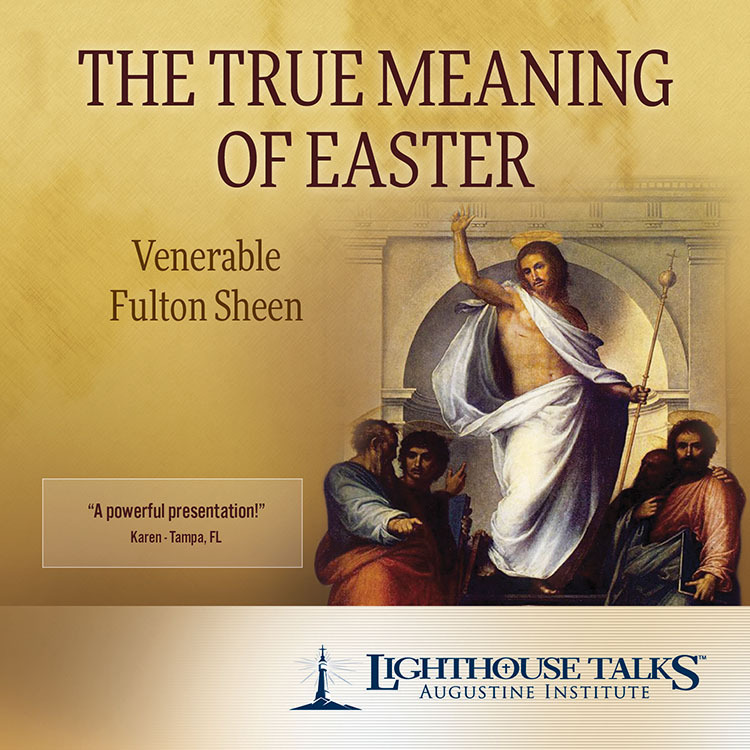 Presented here are his timeless reflections on the Passion, Death, and Resurrection of our Lord, combined with Scripture and Gregorian Chant to create a powerful presentation that is sure to become a family favorite. 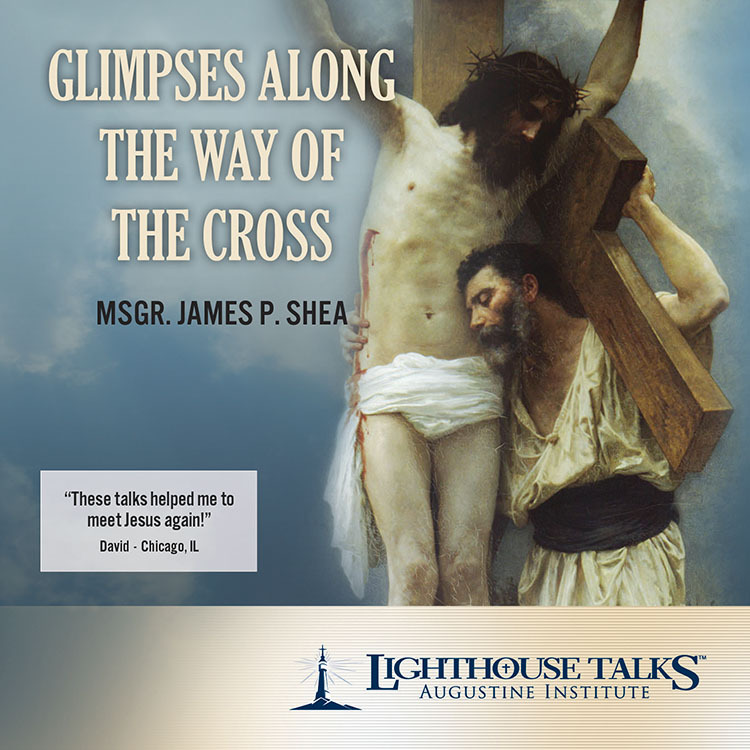 In these three beautiful talks, Monsignor James Shea guides us along the Stations of the Cross, teaching us how to better open our hearts to the suffering and loneliness of Jesus on His way to Calvary. Weaving together the insights of keen believers like Fr. 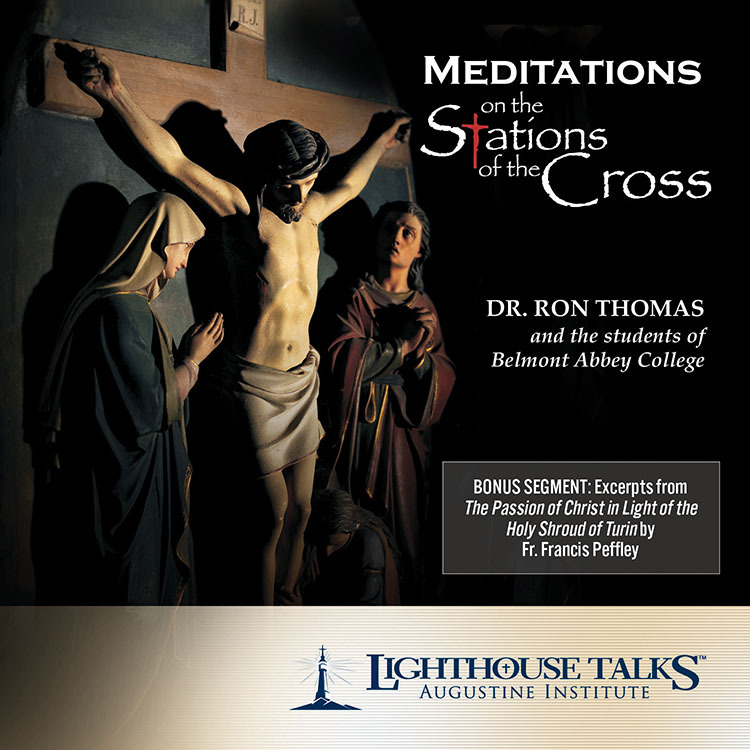 Richard Neuhaus, Caryll Houselander, Archbishop Fulton Sheen, and Dr. James Edwards, these powerful meditations take us into the depths of Christ's agony, and back out again into the relief and joy of what His sacrifice means for us. Spoken as He suffered the agony of the cross, the seven last sayings of Christ recorded in the gospels have been the subject of prayer and inquiry by Christians for two thousand years. 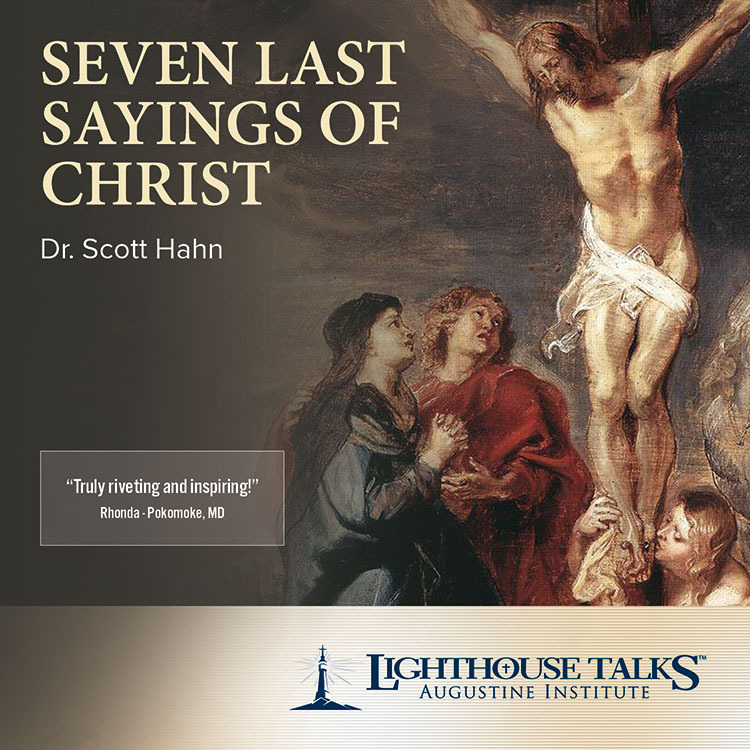 In this revealing presentation, Dr. Scott Hahn unlocks for us the deeper significance of Our Lord's last words, carefully chosen so that we might better understand the immense love of God for every person and His plan of salvation. Learn how Jesus' words are as profound and gripping today as when He uttered them on that first Good Friday. 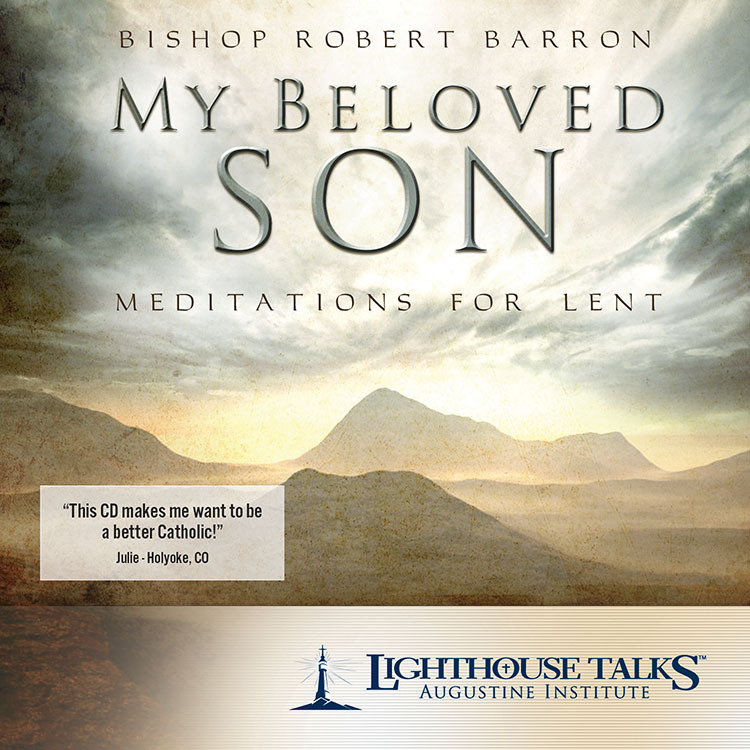 Bishop Robert Barron offers five sermons on the spiritual discipline we must cultivate in the Lenten season, a discipline centered in Christ. These meditations cover topics such as finding our identity in God, prayer as the key to mission, our thirst for God, how to end our alienation from God, and how to joyfully embrace the way of happiness. The Holy Shroud of Turin was called the greatest relic in Christendom by Pope John Paul II. In fact, the Shroud is the most studied scientific object in the entire world. Fr. Peffley presents new and detailed scientific and medical evidence for the authenticity of the Holy Shroud. 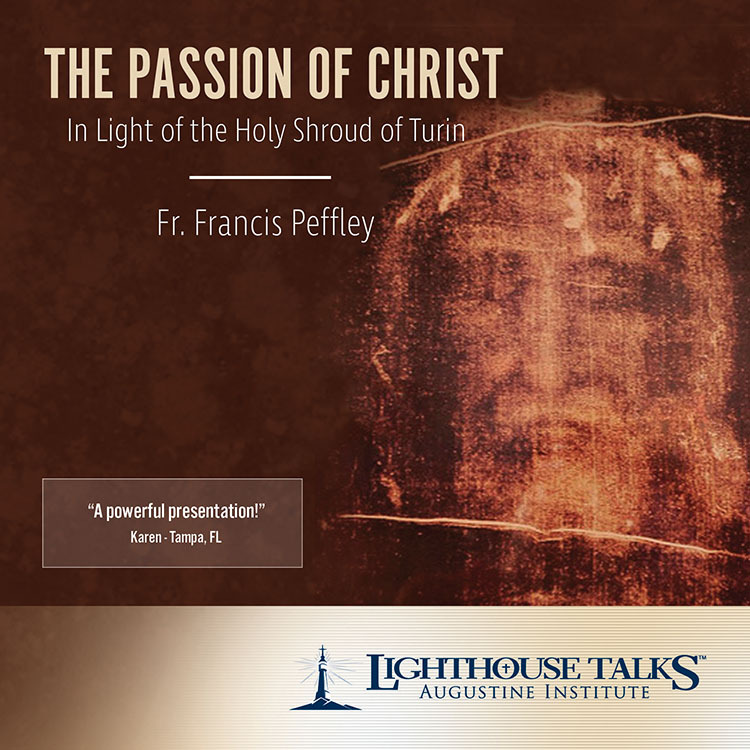 This presentation brings greater clarity as to the depth of the agony of our Lord's sorrowful Passion, which he voluntarily took on for love of us. 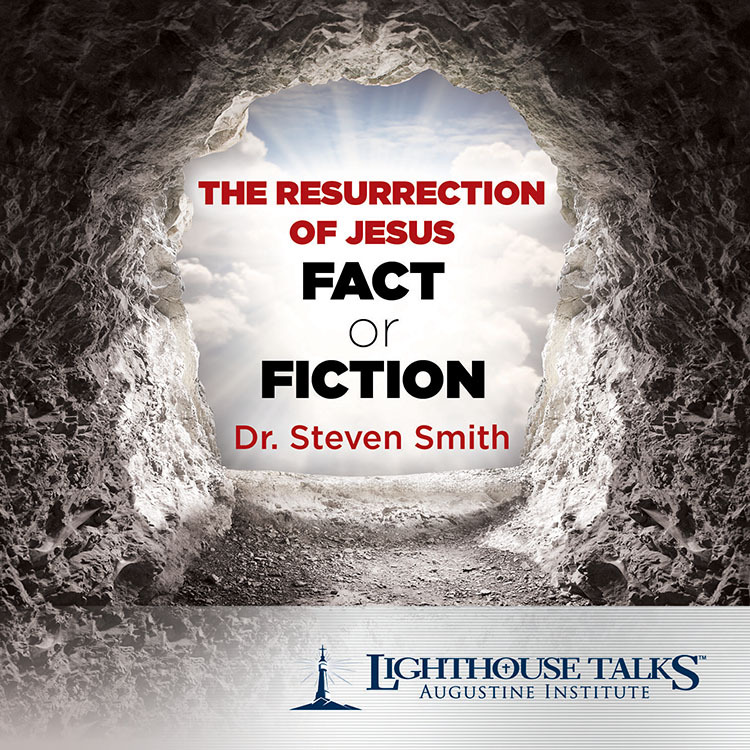 Come to grips with “what really happened to Jesus” as Dr. Steven Smith explores Resurrection narratives from the vantage point of each of the four Gospels as well as many of the vital medical details of Roman crucifixion. Dr. Steven Smith is a professor of Sacred Scripture at Mount Saint Mary's Seminary, in Emmitsburg, Maryland. Dr. Smith earned his Ph.D from Loyola University in Chicago, where he specialized in the study of the Gospels and their relationship to the Old Testament. Pope John Paul II said that Divine Mercy is THE message for the third millennium and God's gift to our time. There is nothing that mankind needs more than Christ's Divine Mercy. To help us avail ourselves of that loving mercy, Fr. 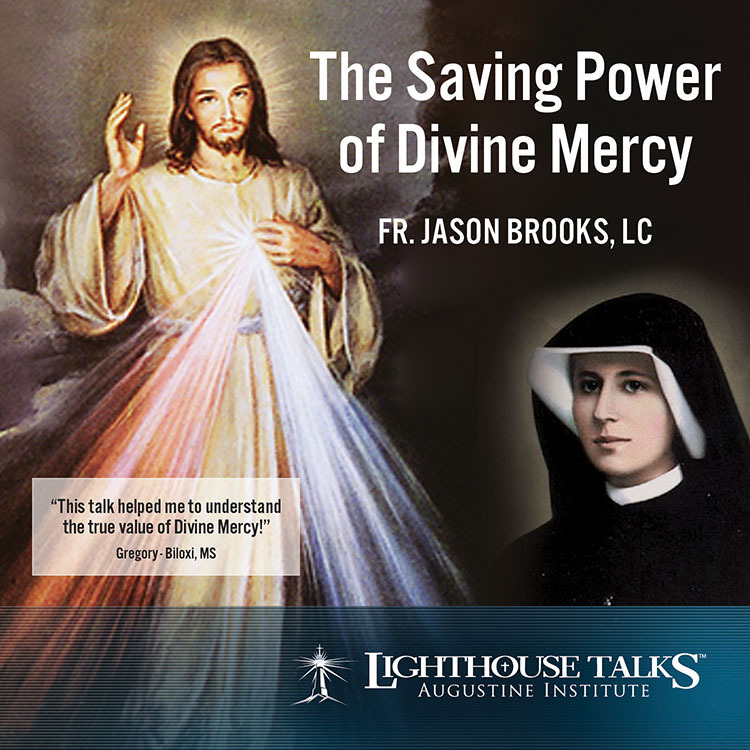 Brooks focuses on what we know of God's Mercy, our response to His Love, how we can become merciful to others, and how to become apostles of mercy.